Red Railway - Dynamic, top-view shooting game. Dynamic, top-view shooting game. The city was attacked by nasty insects! You are the brave engineer who must stop them in their tracks...and yours. 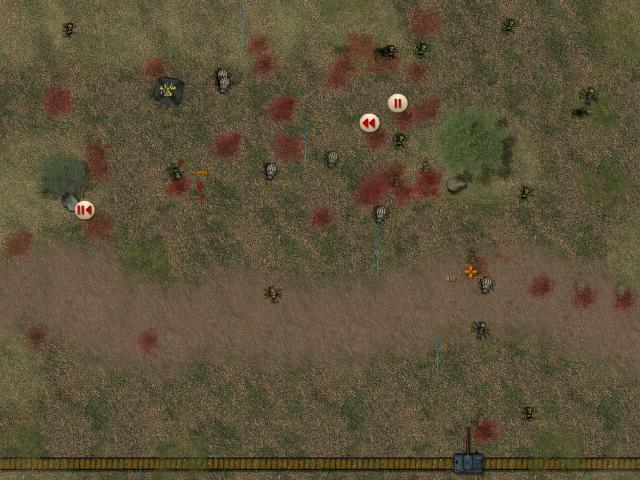 Use your mouse to control the train and shoot the bugs. You have lots of bonus opportunities, the ability to freeze time and reverse the bugs' movements among other things.